Faldo Design needed an animation that could be used for two purposes. Firstly they wanted to present their golf academy design to the owners of Lough Erne Resort (for whom they had previously designed the 18-hole course). They then wanted to use the same animation to promote their Faldo Golf Centres brand to other potential customers. To achieve this we created an animation that focused on the academy facilities (to present to Lough Erne) but introduced the Faldo Golf Centres logo where possible, so it was explicit that this was their brand (to use for their own promotion). Their logo was shown on the flags, golf balls, distance markers and range bays in such a way that it did not distract from the rest of the academy itself. The animation was a great success for both purposes and Faldo Golf Centres have since used it on their website, social media and client presentations. 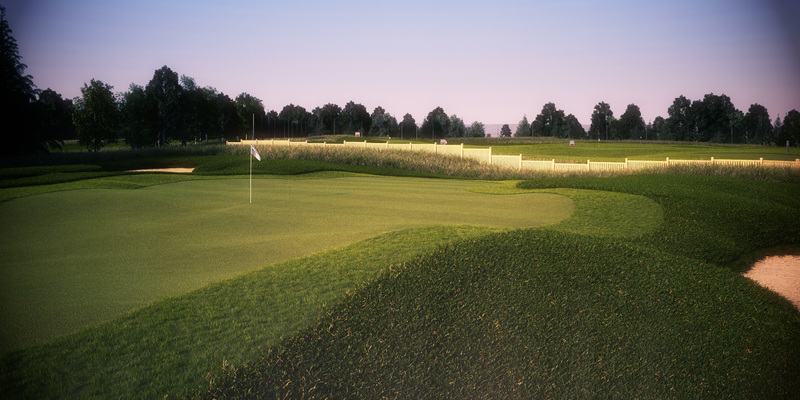 At the time there was no design for the practice range, so we used some artistic license and designed it ourselves. The level of detail to which they go to when producing their golf course animations is extremely impressive – and this shows in the final results. They are very thorough and very professional in their work. I would highly recommend the animation services of Harris Kalinka.